Woohoo!!! Game of Thrones is back! Season 5 starts at 9 PM EST this Sunday. Hasn't it been like forever for the new season to come back around??! Get ready for more blood, guts, and glory in pursuit of the Iron Thrown. All to be ruler of the Seven Kingdoms. Seven Hells. 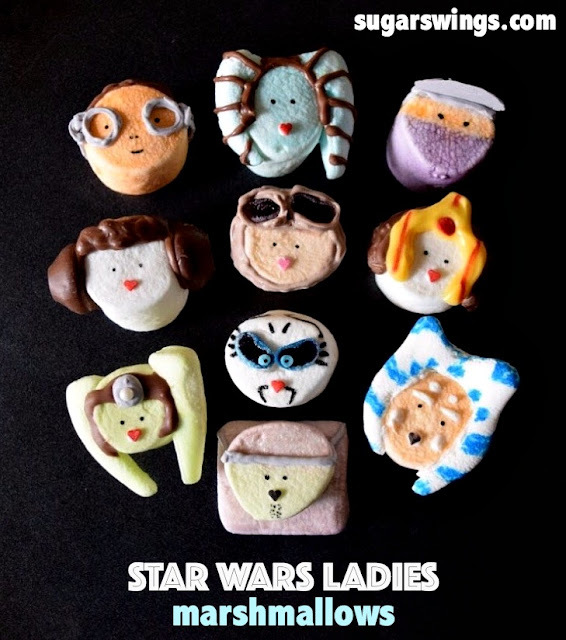 I made cupcakes for the series a couple years back (find them here) so wanted to do something a little bit different this time around. I was going to make some lemon cakes - since lemon cakes seem to be the red velvet cupcake of the show - but didn't have the ingredients around this weekend. 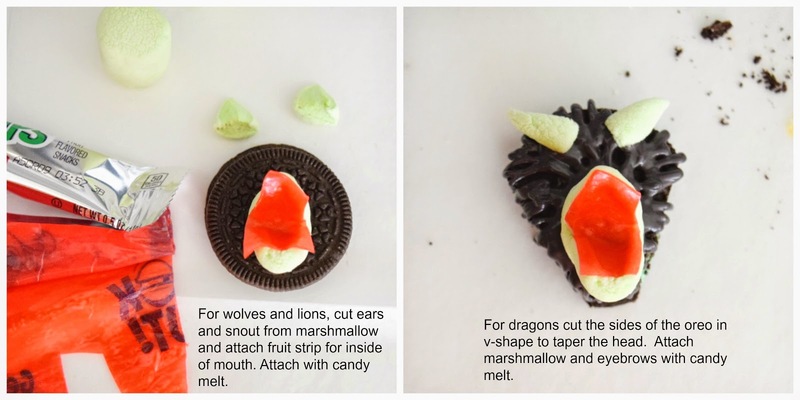 Instead you get some Oreo cookies decorated up as some of the animals that are the house sigils. Think of a sigil like a Harry Potter patronus - well kinda sorta. 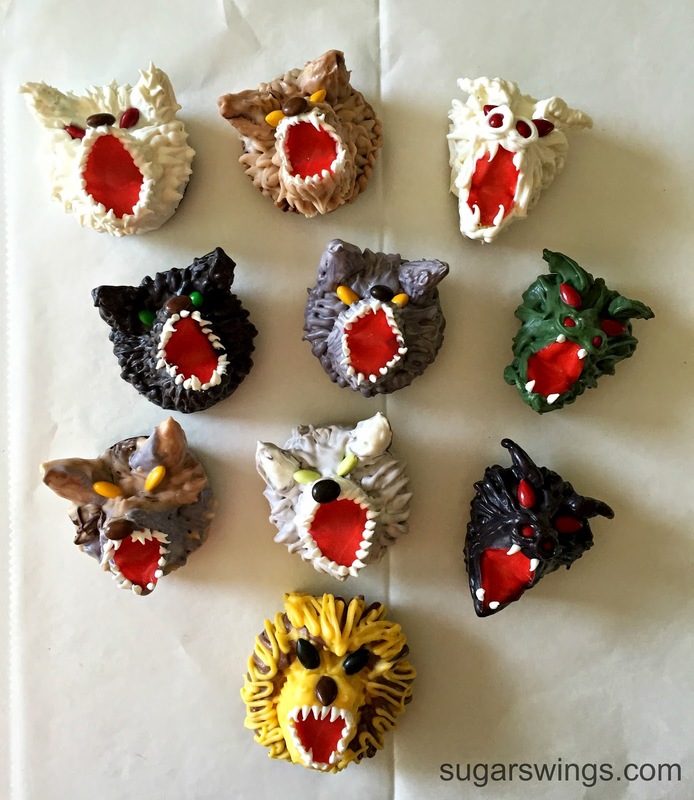 I used the basic method for making wolf cupcakes that's in the Hello, Cupcake book which uses marshmallows to make the snout and ears and red fruit strips for the inside of the mouth. Instead of icing I used candy melts in various colors to add detail as I wanted to be able to pick up the cookies without them being messy. 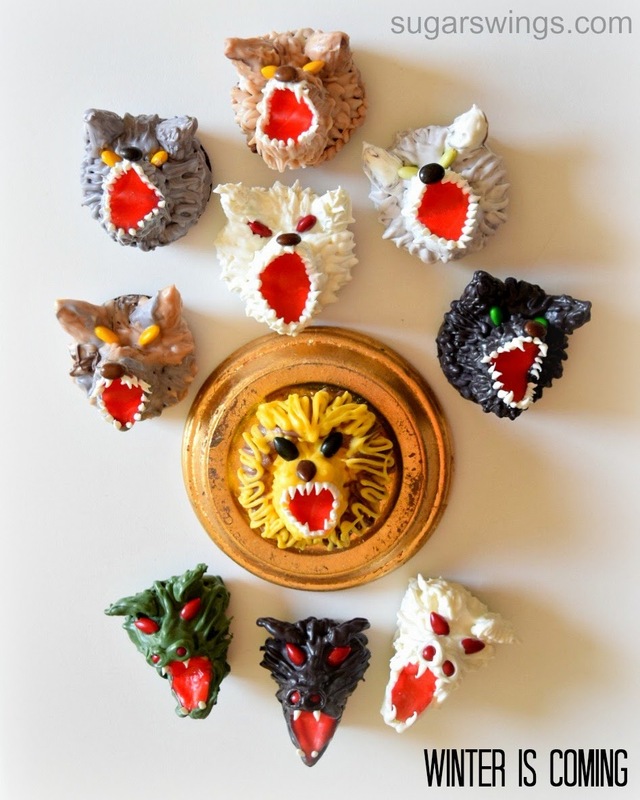 Another great tutorial for making howling wolf cupcakes can be found here on Annie Eats. Eyes are candy coated sunflower seeds, teeth is white candy melt. 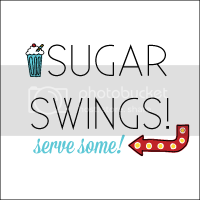 If you plan on making them (if you are crazy like me) email or leave a comment and I can give some more specific directions. My fav family with the worse absolute luck of all time are The Starks. Their house sigil is a Dire Wolf - think wolf on steroids. 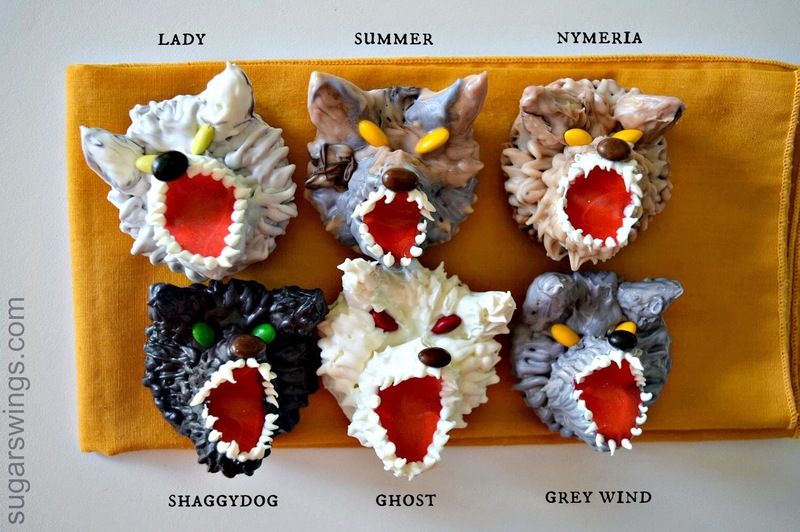 Each of the Stark kiddos has a dire wolf as their lifetime bud. Well most still do anyway. And the arch nemesis of the Stark's are the Lions of Lannister. A family with major issues and they prove that money can't buy happiness - although it makes life way more interesting in King's Landing. They are the perfect family to hate, except for Tyrion. One minute you hate him, the next you love him - mostly you love him. 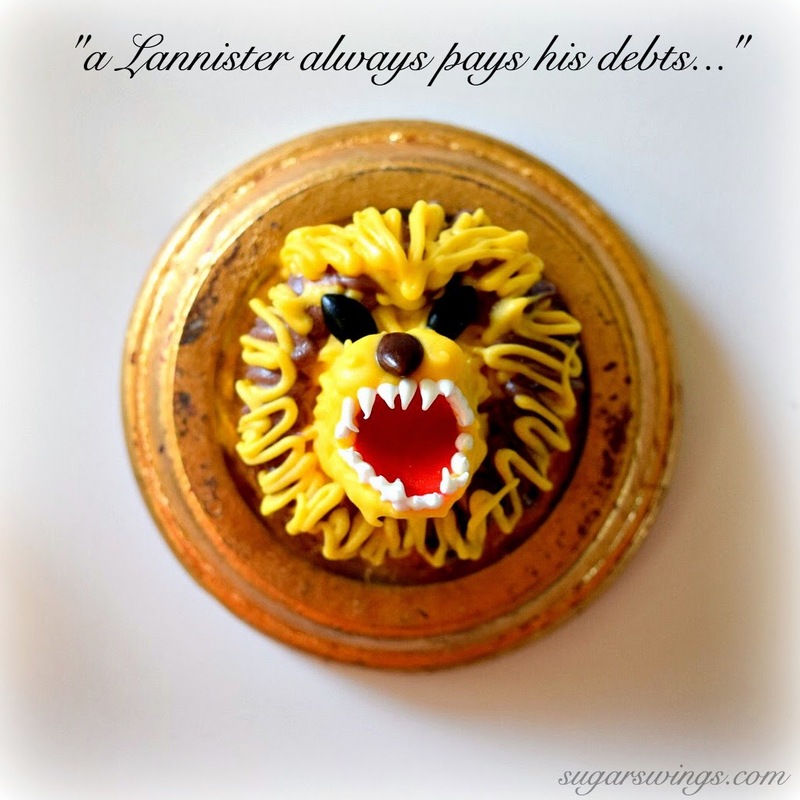 A Lannister always pays his debts so watch out. And I can't wait for Daenerys (aka the Mother of Dragons) and her 3 cuties to come stormin' back to King's Landing to take back to the Iron Thrown which was so rudely taken from the Targaryens. 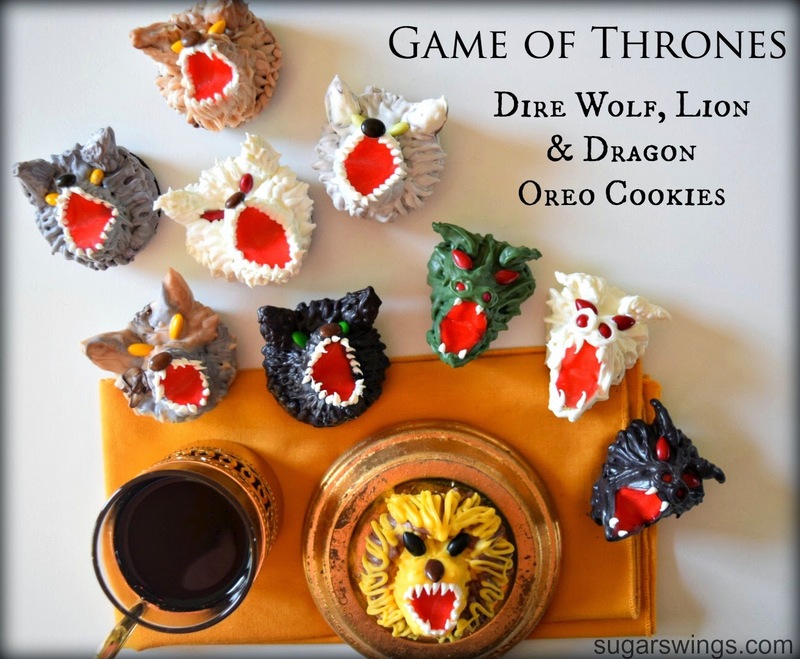 So grab your cup of ale, wine, or mead and your fav house sigil oreo and enjoy this Sunday's season opener. There's bound to be a shock or 2 or 3 and please George R.R. Martin - finish the last book! 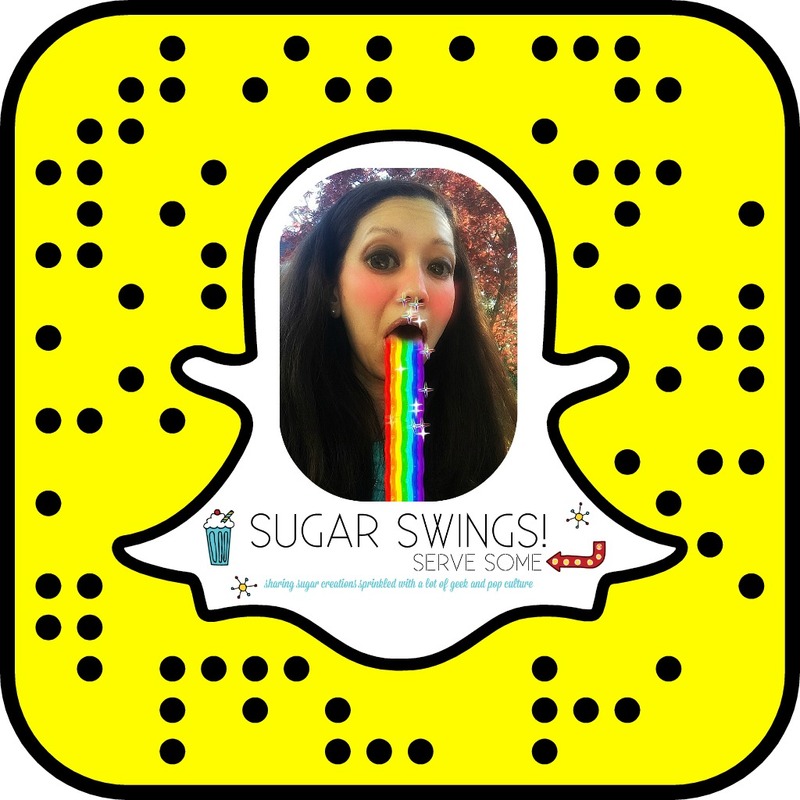 Thanks for stopping by and have an AWESOME week! 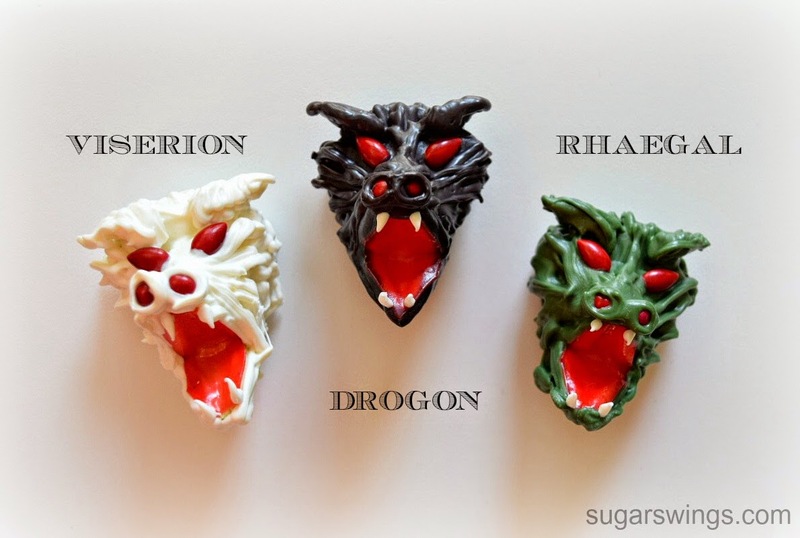 I've never watched Game of Thrones, but these treats look amazing! 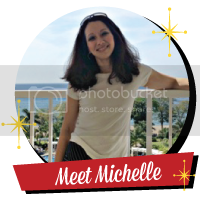 You always do such a great job, Michelle! thanks Sue! the show (and books) are a bit addicting! And with everything taken into account, it will finish up practically everything that Game of Thrones fans have been sitting tight for since the finish of the 6th season. Very true! can't wait though for the season 7!